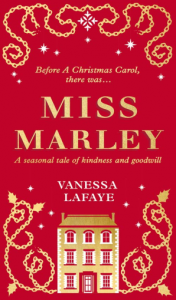 Miss Marley, the prequel to A Christmas Carol, was published on November 1st 2018. Vanessa Lafaye began writing this novella in the final stages of cancer and tragically did not complete it. She died at the end of February 2018 and the book was left unfinished. That’s where I came in. 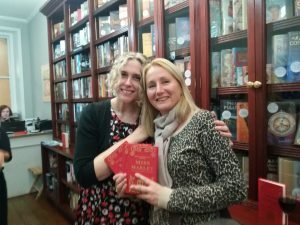 HarperCollins editor Kate Mills asked me to complete the final chapters. 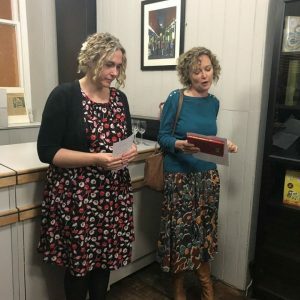 As a friend of Vanessa’s and a fellow Dickens fan, it was my honour and delight to do so. Vanessa had written around two thirds of the book and it was my task to finish the final third and try to create an ending that made sense, that flowed and that did justice to the beautiful work already produced by its creator. I wrote these ten-thousand words or so over five days in the spring of 2018. The book went through edits, proofs were created and illustrations added and by October 2018 we had finished hardback copies. It is extraordinary to think of how that process – from Vanessa writing the book at the beginning of the year to holding a hardback copy in my hand in October of the same year – actually came to pass. But we did it. 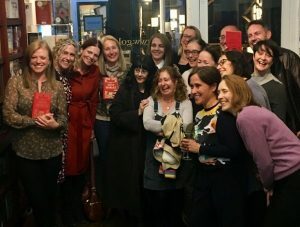 A team effort, of Vanessa herself, her nearest and dearest, everyone involved at HarperCollins and me. 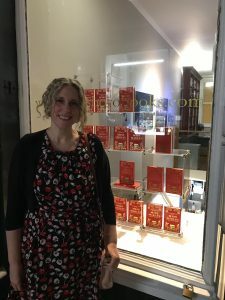 And on October 30th 2018, at Goldsboro Books, with a stack of brand new hardback copies of Miss Marley, it was time to celebrate. 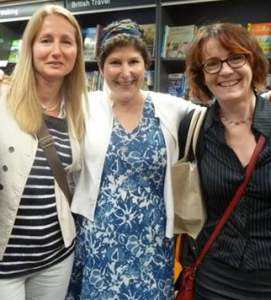 L-R: Karin Salvalaggio; me; Antonia Honeywell; Sarah Sykes. Back row: Louisa Treger, Isabel Costello; Melissa Bailey; Cari Rosen; Jon Teckman; Rachel Malik; Tim Finch; Fionnuala Kearney. Front row: Essie Fox; Beth Miller; Terry Stiastny; Fleur Smithwick. 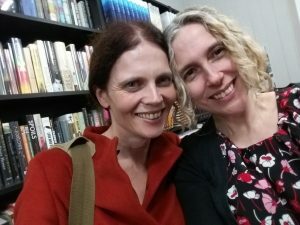 Writer friends and Vanessa’s family gathered at the bookshop that evening to celebrate not only this book, Vanessa’s last work, yet also our lovely Vanessa herself – to celebrate her life, her achievement and our memories of her. I was honoured and delighted to meet her mother Pat and to see again her husband James. They’ve both told me they were happy with the ending I gave Vanessa’s book and this means everything to me. Antonia Honeywell, founder of The Prime Writers. It was so ace to see all of these lovely Primers again! 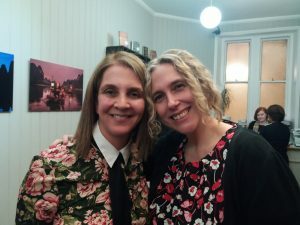 I got to talk to other writer friends who kindly came, such as Liz Fenwick and Susan Elliot Wright, as well as lovely folk from HarperCollins and the bookshop. I signed a few books and took a few snaps with my partner Colin. Speeches were given by editor Kate Mills and by me. Kate talked about how she’d met Vanessa when she took on her first novel, Summertime. She explained how Vanessa had first presented the idea of Miss Marley to her and the process of its writing. She spoke of what a brilliant writer Vanessa was. Kate was always Vanessa’s champion, so we have a lot to thank her for. I went on to give a speech about my friend Vanessa. 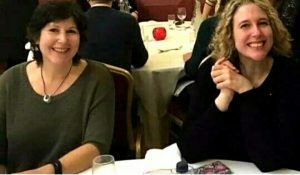 I wanted to talk about what a good laugh she was; how irreverent she was about life in general; how we’d talk for hours on the phone or on Skype, as she always wanted to see your face; how she and I both took the business of writing very seriously, but we didn’t take ourselves very seriously. This is the only photo I have of Vanessa and me together. Living at opposite ends of the country, our friendship was mostly conducted on Skype and other social media, but we made it work for us. 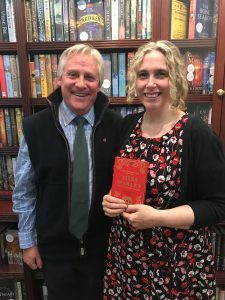 One time, she travelled all the way to Lincoln from Marlborough for the launch of my second novel. 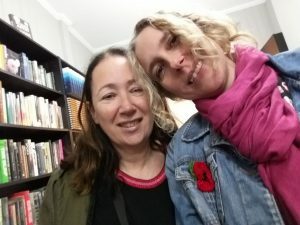 I couldn’t believe she came all that way for me, for my little book, just for a couple of hours. But that was the kind of friend she was: fiercely loyal, celebratory and giving. To finish my speech, I talked about how angry Vanessa and I were with the damned cancer and how we used a phrase from the movie The Martian to scream at it: F**K YOU MARS! It became our battle cry every time we talked about it. On social media, we’d type FUM!! It was our little code to stick two fingers up to cancer, to the injustice of it, to time running out and to death. 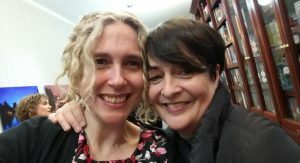 I finished my speech by saying that one of the final things I said to Vanessa was, “Your voice will live forever in your books.” And in some small way, by me finishing her last book for her, then Miss Marley was our manner of sticking two fingers up to cancer, to death, of shouting FUM to it all! Because her voice will live forever in that beautiful little book, filled with a love of Dickens, of Christmas, of goodwill to all and the spirit of Vanessa on every page. Read more about Miss Marley here on my Miss Marley page and find out where to buy the book for Christmas gifts for one and all.